Please find below the schedule for the BMG retreat, to be held on Thursday 30th November at Morven Farms. The day kicks off at 8.30 am with breakfast, talks beginning at 9 am and concluding around 5.15 pm after a faculty-sponsored reception and student entertainment. Please plan to attend, all are welcome. Posters: As a reminder all BMG graduate students are required to present a poster and/or a talk. The poster boards are eight (8) feet high by four (4) feet wide. All other trainees and lab staff are also welcome to present posters. Please contact Patrick if you plan to do so. 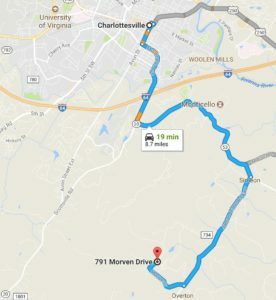 Location (Map attached): The retreat will take place at the Meeting Barn at Morven Farms, a 2913 acre UVA Foundation property located in South Eastern Albemarle County near Monticello and Ash-Lawn Highland. The location is 791 Morven Drive, Charlottesville, VA 22902. From Charlottesville take Route 20S/Monitcello Avenue. After passing PVCC turn left onto Route 53E heading towards Monticello. 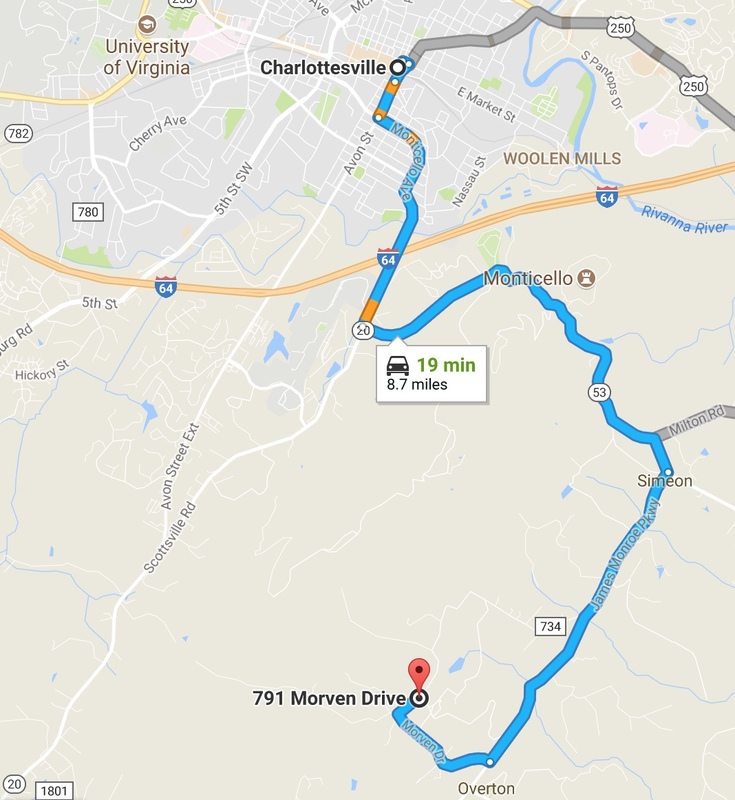 Take 53E for 7.2miles and turn right onto Morven Drive. Note 53E becomes Route 795/James Monroe Parkway after passing Monticello. You will be directed to the Meeting Barn from the attendant at the Gatehouse. Please car pool if possible, as parking is limited.